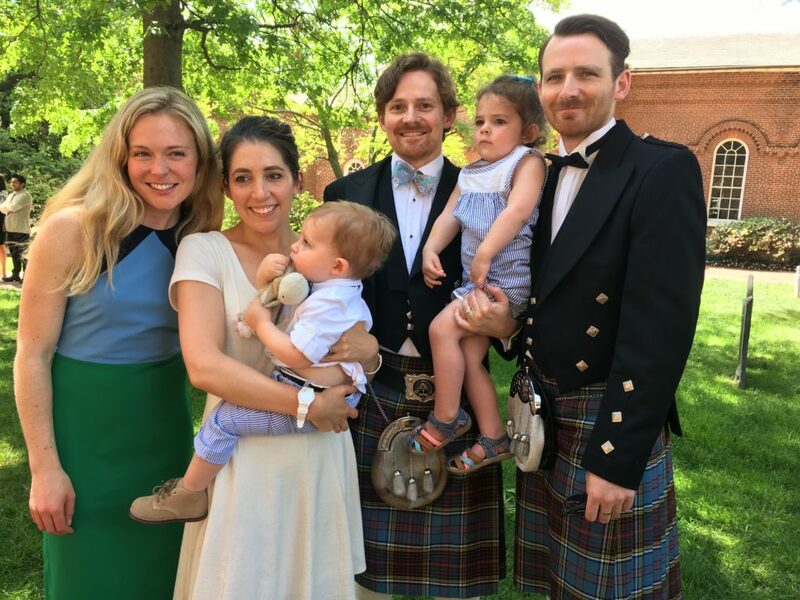 This past weekend, Ewan was baptized (which is worth a whole separate blog post, given what a mess he was during the service) and my dear friend Karen was in town to serve as his godmother. The baptism boy and his entourage. I don’t see Karen very often because she lives in California, so when I do see her, we try to make the most of our time together. This usually involves doing something active and then sitting around talking (and, duh, drinking wine). So, the day after Ewan’s baptism, we got in my trusty 2002 Camry and drove two hours southwest to Shenandoah National Park. I’m ashamed to say that in the almost-decade that I’ve lived in the DC area, I’d only gone to Shenandoah once before (and that was, like, three weeks ago). Boy, was I missing out. It is REALLY pretty, with tons of gorgeous views of soft green hills, forests, and rivers. 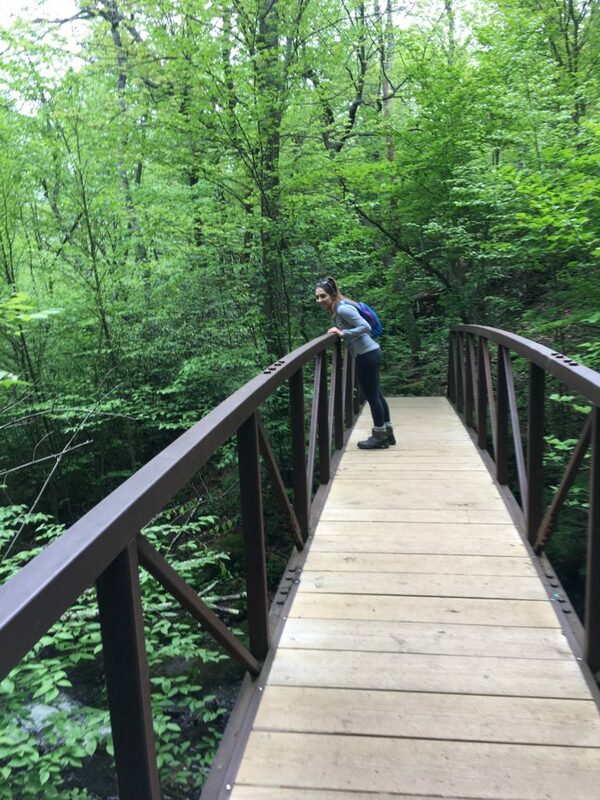 Karen and I chose the Whiteoak Canyon trail for our hike. It’s a 4.7 mile out-and-back loop, with the option to tack on an additional 2.7 (very challenging) miles at the bottom. We ended up hiking 5 miles — 2.5 miles downhill, passing a series of beautiful waterfalls, and then 2.5 miles back up. Obviously, the way back was a bit more challenging, but the thundering waterfalls kept things refreshing. After our hike, we drove through the park and stopped at a couple of overlook points, then stopped at one of the many wineries in the Shenandoah Valley, Gadino Cellars. I told Karen that wine-tasting in Virginia is not so much about the wine as much as about the views, which helps to set expectations. (Sonoma this ain’t.) But the wine at Gadino was pleasant, and we got to drink it while sitting outside and looking at lush, green hillsides dotted with vines. After our tasting, we made our way to Sperryville, the cutest little hippie river town you ever did see. First, we stopped at Copper Fox Distillery. Neither of us are big whiskey people, but we sampled four of Copper Fox’s products and I actually liked them all. (Who knew?) Next, we wandered around the corner to Wild Roots Apothecary, which sells “herbal products, herbal pantry products and beautiful botanically based natural beauty products.” I ended up buying two oxymels, delicious, vinegary-tasting syrups that supposedly cure inflammation and a whole host of other health issues (sure), but mostly just tasted like yummy salad dressings. (I blame the whiskey for these purchases, by the way). Oxymels in hand, we headed for our Airbnb and got cleaned up before going to dinner at Tula’s Off Main in Washington (just up the street from the very famous Inn at Little Washington). Apart from the great quality time I got to spend with my friend of 15+ years, the best part of the evening was crawling into bed at 9:30 and getting ten hours of uninterrupted sleep. HEAVEN. 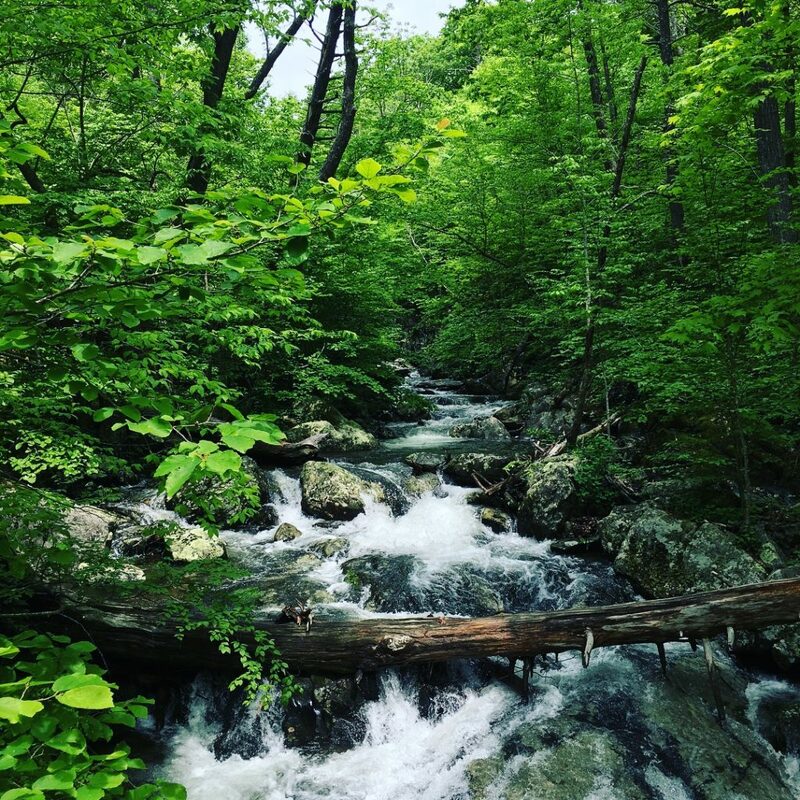 Can’t wait to get back to Shenandoah for some more hiking — and so glad I got to spend some precious time with my friend! 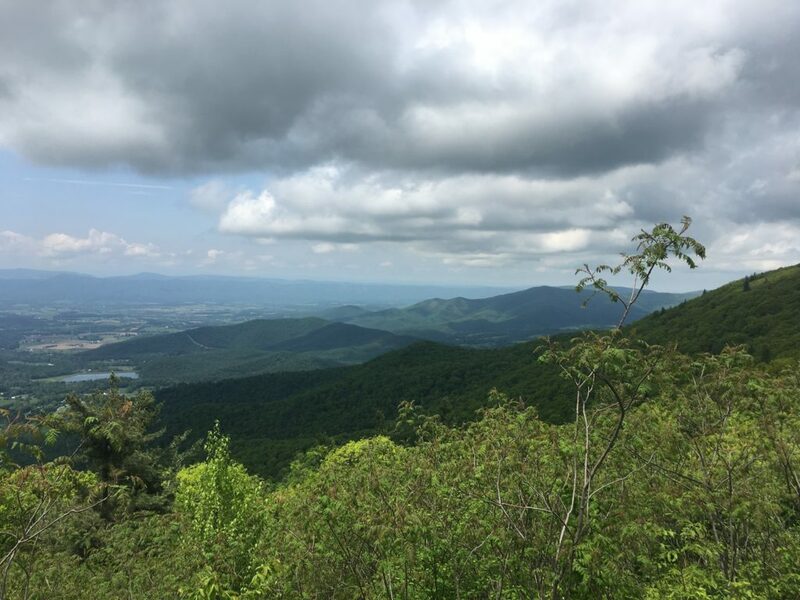 This entry was posted in DC, Travel and tagged food, Shenandoah National Park, Travel, Virginia, wine on May 23, 2018 by Stephanie.